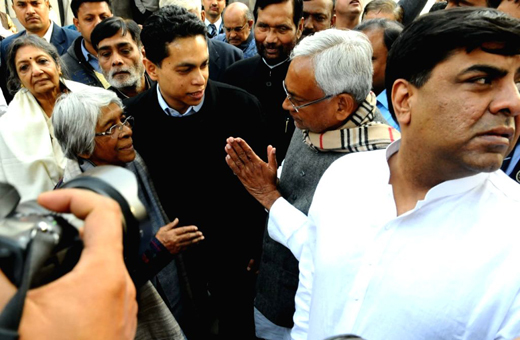 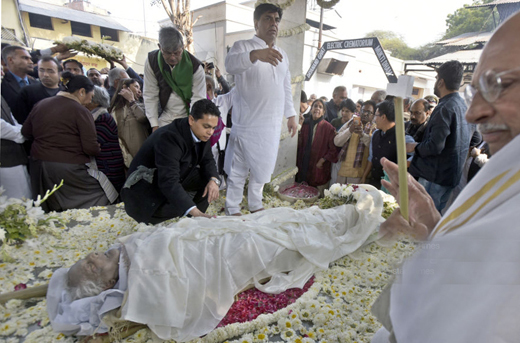 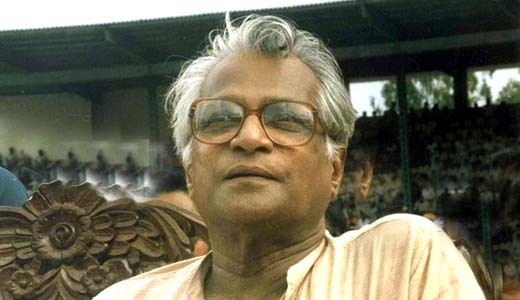 New Delhi, January 31: The mortal remains of George Fernandes were Thursday cremated in New Delhi amid chants of ‘George Sahab amar rahe’ as family, friends and admirers gathered to bid an emotional goodbye to the socialist leader. 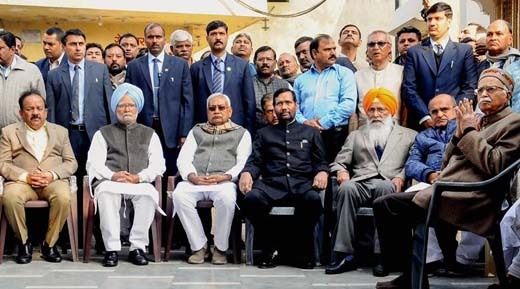 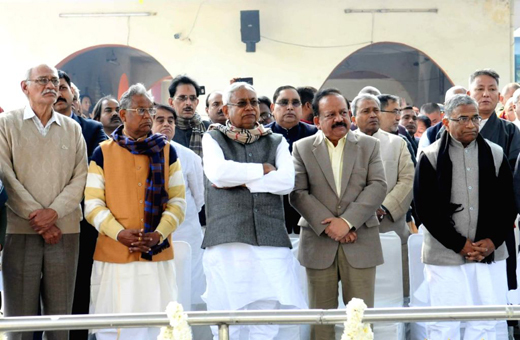 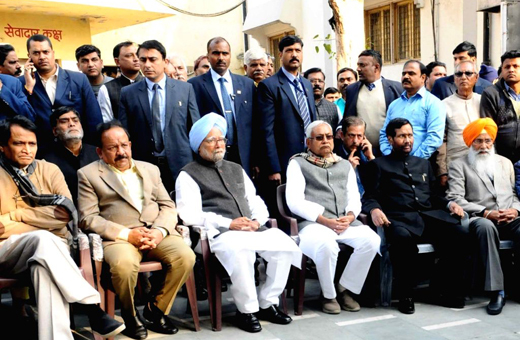 Former Prime Minister Manmohan Singh, Bihar Chief Minister Nitish Kumar, BJP veteran L K Advani, Union ministers Ram Vilas Paswan and Ravi Shankar Prasad, senior leaders Sharad Yadav and Upendra Kushwaha were among those who attended the cremation at the Lodhi electric crematorium. 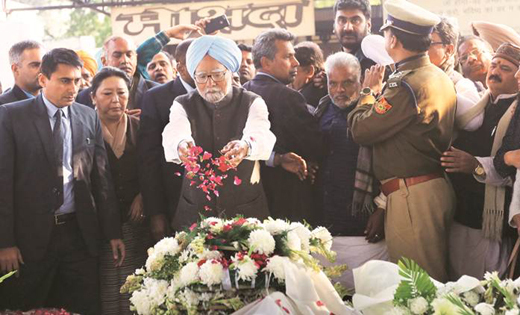 Former prime minister Manmohan Singh with (R-L) BJP senior leader LK Advani, JDU leader KC Tyagi, SAD leader Sukhdev Singh Dhindsa, Union leader Ram Vilas Paswan, Bihar Chief Minister Nitish Kumar and Union Minister Harsh Vardhan pay their last respects to former defence minister George Fernandes at his cremation ceremony, at Lodhi road funeral ground in New Delhi, Thursday, Jan 31, 2019. 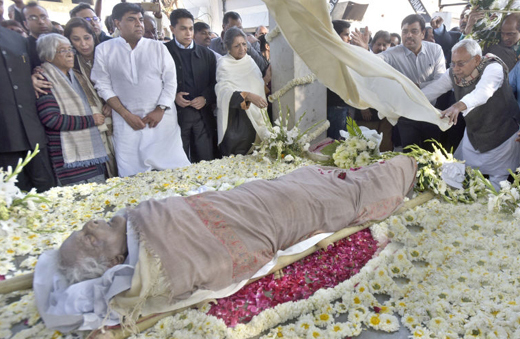 The mortal remains of the former defence minister were brought from his home in a wooden casket on a military truck. 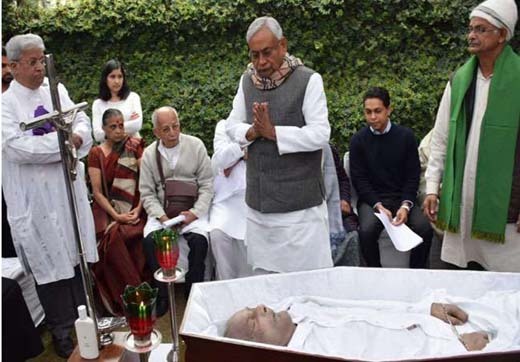 Though he will not be physically present but his deeds will always be remembered.